Sat, JAN 7, Imani's Bday PARTY & CAP Tribute! SAVE the DATE! 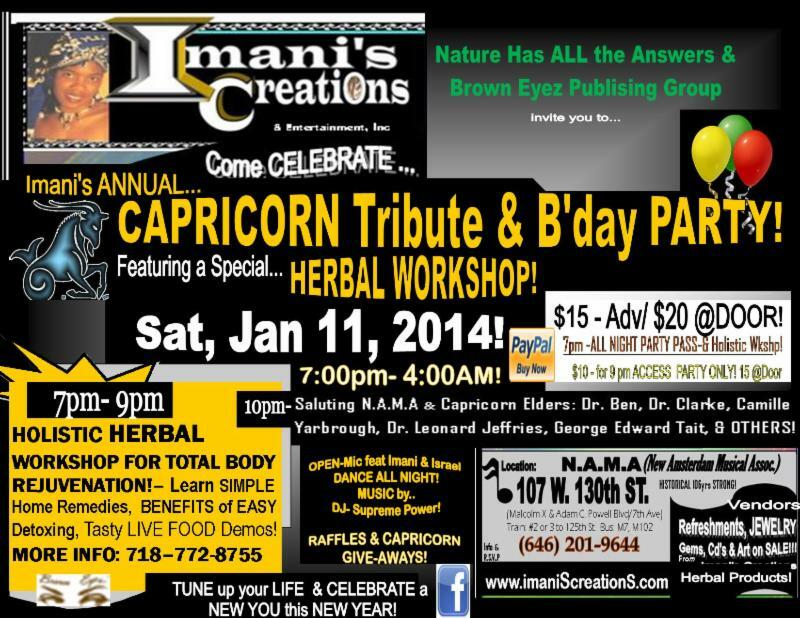 Imani's Birthday Party & Annual CAPRICORN TRIBUTE! Sat, JAN 7, 2017! CLICK HERE for DISCOUNT 2 for 1 TICKETS & INFO. CAPRICORNS FREE w. ID if RSVP by Mon, Jan 2,2017! Sun-9/18- AFRICAN AMERICAN DAY PARADE! 8/17/16 - Bare Head Beauty Day in Harlem! 7/31- HARLEM WEEK Kick off- visit Imani's Creations BOOTH! Sun 4/24/-Invite to Tribes of HUMANITY Gathering! Featuring the COLLABORATORS - is an event in the spirit & essence of Tribes of Humanity.. A Gathering that involves profound healing & connecting to one another on deeper levels & yet weaving Art, Celebration, Ceromony; a merging of worlds, a weaving of many facets of Life & Culture. 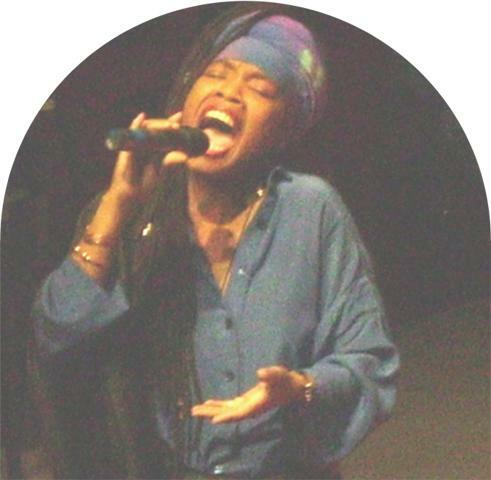 A Culture defined by us..
Imani Scott will be blessing the audience with power & grace, thru song, presence & form/Magikal Selections. 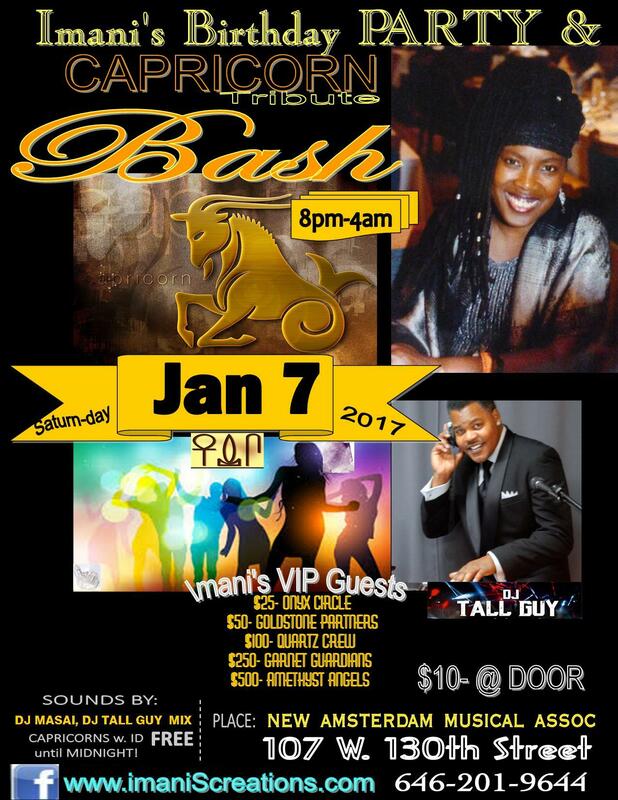 Imani's BIRTHDAY PARTY & Annual CAPRICORN TRIBUTE 2016! 9/27- IC VENDS at ATLANTIC ANTIC FEST in BKLYN! Oct 17-18, IC vends at CIRCLE of SISTERS 2015! CLICK HERE to BUY YOUR ADVANCE DISCOUNT TICKETS NOW!!! Vist the IMANI'S CREATIONS & ENT BOOTH during CIRCLE of SISTERS 2015 for SPECIAL PRIZES & SURPRIZES! Sun, 9/6- IC VENDS "ARTS on THIRD" in Mt. Vernon! Sun, 9/20 African American DAY PARADE! Sun, Sept 20- SAVE THE DATE! 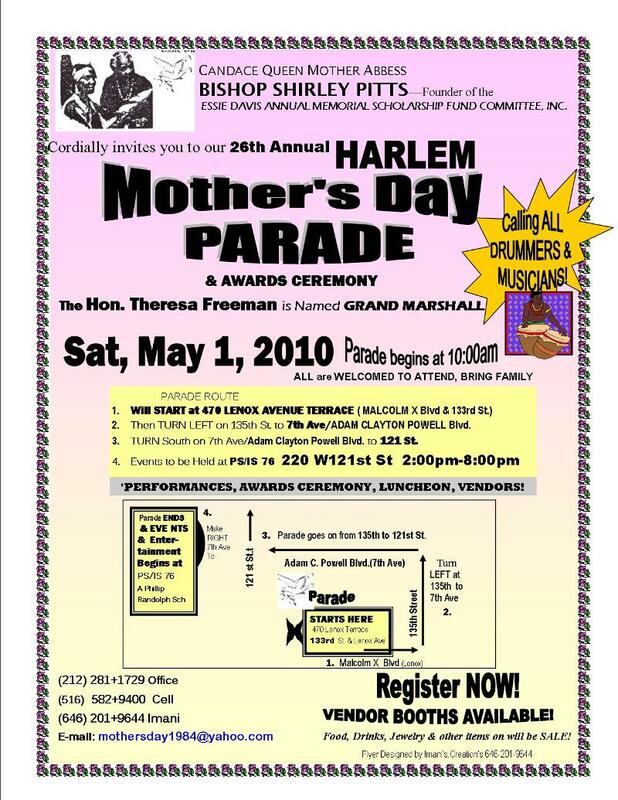 Imani's Creations & DJ CARD CREATORS BOOTH will be on 125th ST! IC at HARLEM WEEK 2015! SAVE-THE- DATES & Celebrate HARLEM WEEK with Imani's Creations & Entertinmant, Inc! Invite to Sat 5/30 MultiCultural Festival in Harlem! Imani SINGS & VENDS at HOLIDAY BLAST Showcase hosted by GOLDEN STARS! 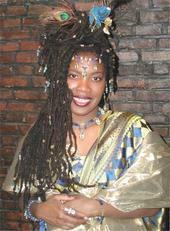 Subject: 12.15- Imani SINGS & Vends at Golden STARS Holiday BLAST night! New Amsterdam Music Association N.A.M.A. Flyer- Golden STARS- Holiday BLAST! Step into the New Year with knowledge that leads to financial independence. COME EARLY...THIS SEMINAR WILL CHANGE YOUR LIFE!!!! 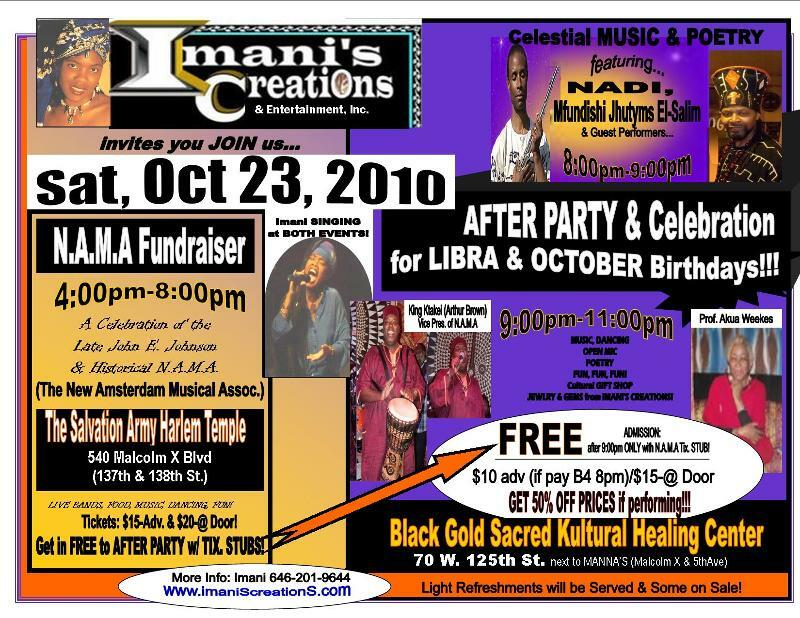 10/22/11- Imani SINGS at AFRICAN BALL- WISOMMM Ctr. Every year we come together to celebrate the unsung heroes in our community whose dedication to the upliftment of our people helps to improve the quality of life of our community. This year we are Honoring A call To Action! as we honor the best in our community! 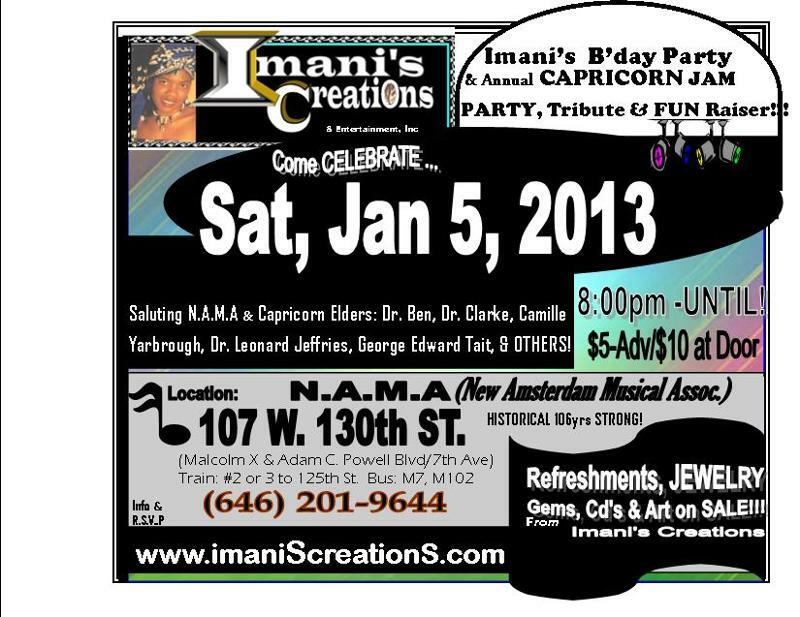 PHOTOS from Imani's B'day Party & Capricorn Tribute! This is one of my BEST B'Earthdays ever! The party was awesome, Our power circle with Gale Armstead, the open mike segment with amazing talent! And the dancing then breakfast! Thanks for all the Birthday greetings, gifts and facebook B'day shout-outs! Enjoy some of the photo's from the party, the video would've given more of a clue of how much fun we were having, due to technical difficulties we don't have any video, but a picture is worth a thousand words!! !